Point of Banking Merchant Accounts - Lower Costs of Credit Card Processing! 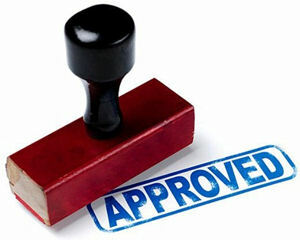 Low Cost Merchant Solution & Virtually Guaranteed Approval For All Businesses! Are domestic banks denying your request for a merchant account because they believe that your business is too high risk? Would you like to lower your costs of merchant processing? CyoGate's Point of Banking merchant solution is not a traditional merchant account, but operates in much the same way. It's actually designed to work with the ATM system, so any PIN-based credit or debit card can be used; and, like using the card at an ATM, it is treated EXACTLY like a cash transaction, although, it is technically a "cashless" ATM. Instead of the merchant paying a discount fee and transaction fee, as they would with a credit card, all fees are paid by the Customer as an additional convenience fee on their "ATM" transaction. This fee is usually about $2.00-$3.00 per transaction, just as if the Customer was using an ATM that was out of his bank's system. The way it works is that the customer slides their card through the terminal, decides what type of transaction they want to make, selects a dollar amount, and enters their PIN. When the transaction is approved, the machine prints a receipt that is taken to the cash register to be redeemed for the goods or services. The cashier simply makes change to make up the total amount of the purchase. The funds are electronically deposited to the merchant's bank account in three to four business days, just as with a credit card terminal. Because the transaction costs are incurred by the customer, this is a great solution for ANY business that wants to lower its costs of credit card processing, and because they'll approve most any business, it's also an ideal solution for gun dealers, medical marijuana dispensaries and other businesses that can't qualify for a traditional merchant account. Also, because it works on the ATM system, there are NO chargebacks! For more information on CyoGate's Point of Banking solutions, please contact us today!